Multiculturalism as a distinct form of liberal-democratic governance gained widespread acceptance after World War II, but in recent years this consensus has been fractured. Multiculturalism in the British Commonwealth examines cultural diversity across the postwar Commonwealth, situating modern multiculturalism in its national, international, and historical contexts. Bringing together practitioners from across the humanities and social sciences to explore the legal, political, and philosophical issues involved, these essays address common questions: What is postwar multiculturalism? Why did it come about? How have social actors responded to it? 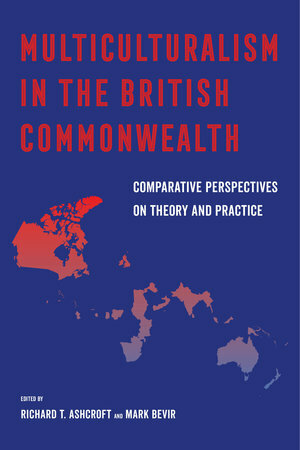 In addition to chapters on Australia, Britain, Canada, and New Zealand, this volume also covers India, Malaysia, Nigeria, Singapore, and Trinidad, tracing the historical roots of contemporary dilemmas back to the intertwined legacies of imperialism and liberalism. In so doing it demonstrates that multiculturalism has implications that stretch far beyond its current formulations in public and academic discourse. Richard T. Ashcroft is a PhD candidate in the Political Science Department at the University of California, Berkeley. His research has been published in the Critical Review of International Social and Political Philosophy and The Political Quarterly. Mark Bevir is a Professor of Political Science and the Director of the Center for British Studies at the University of California, Berkeley. He is also Professor of Governance at the United Nations University and a Distinguished Research Professor at Swansea University. He is the author of A Theory of Governance, The Making of British Socialism, and Democratic Governance.